Biolyte: The Drinkable IV | Pharm House Drug Co.
Pharm House Drug has Biolyte in stock and ready for walk-in purchase. 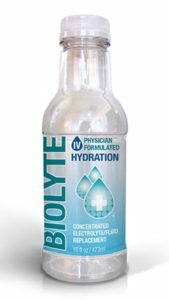 Biolyte is a physician formulated oral rehydration therapy drink that has exactly what your body needs when you’re dehydrated. It has the same amount of electrolytes as an IV – 650% more than any of the leading sports drinks and 50% more than the leading children’s rehydration products – plus natural compounds that help restore your body’s balance. What can Biolyte be used for? This unique oral rehydration solution is the perfect defense against everyday dehydration, sickness, hangovers, jet lag, aging, and intense athletics. When you are feeling dehydrated or low on energy, don’t reach for a sports drink, coffee or even water. Grab a Biolyte, and experience the power of the Drinkable IV. N-Acetyl-L-Cysteine: a compound that the body uses to build antioxidants, repair cell damage, and protect the liver from alcohol. Milk Thistle: a plant with anti-inflammatory properties that promotes healthy liver function and even heals damaged liver tissue. “Tried it for the first time yesterday. Had just finished a moving job in 95 degree temperature. With in 10 to 15 minutes of finishing the bottle i was feeling replenished. I Would recommend this over any energy drink on the market.” – Arnold L.
“This drink is incredible! I have been out biking and walking in 97+ temps the past 4 days which left me feeling light headed and depleted. I was drinking water while exercising but it didn’t seem to help. So, I grabbed a bottle of biolyte and downed it. What a savior! Within seconds, I felt great! It’s truly a miracle drink and so deliciously refreshing also. 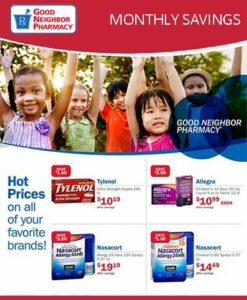 I plan to have a supply on hand at all times in the near future! !” – Twyla F.
“This drink is great! I’ve been sick for the last few days so rehydrating was a priority and this did the trick. I also exercise a lot so it’s great to have something I can drink to recharge after sweating everything out!” Hardie T.
*Biolyte is available in our Pharm House Drug in Carrizo Springs, Conroe, Crystal City, Kountze, La Grange, La Vernia, Needville, Sonora, Sweeny, and Trinity, Texas.